Unsual 3d parking puzzle with kicking mechanics. Kicking is fun! Kick a car from the parking lot alone or with friends. And don't think that it will be easy. 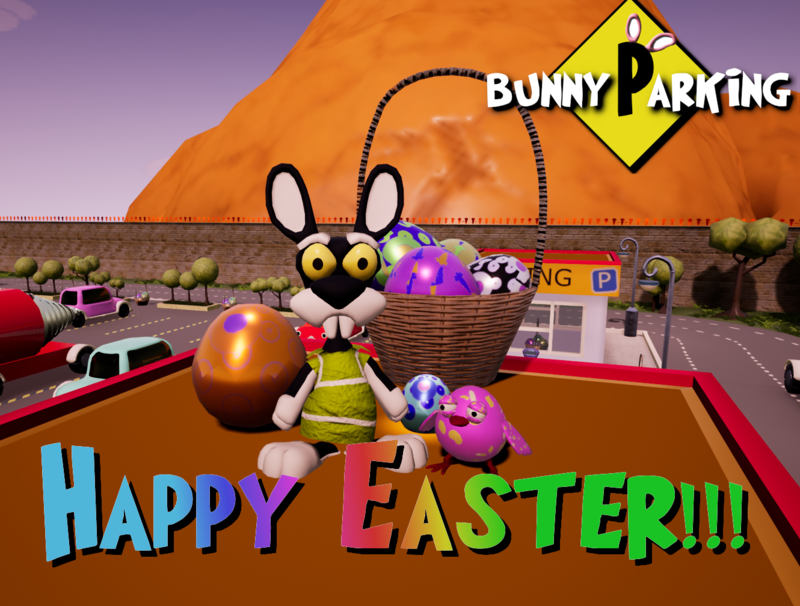 Update 5 - Easter Time! There are several eggs hidden all over the Bunny Town, find one, break it. But be carefull if you jump into the water magic will dissappear and you'll have to find another egg. There are also wicker basket with eggs just for decoration with little effect on kicking them. The city, surrounded by the Great Carrot Wall, is only rumored about it. Some cars that dared to drive through it are stuck forever in the parking lot. And then the residents of the city come to the rescue - Bunnies. Play alone or with friends in cooperative mode, helping the car get out of the parking lot, remove badly parked cars which blocks your way. To move the car you will have to kick it. Become a great kicker savior! In the city, apart from you, the parking bunny, there also live other bunnies: bunny-gardeners, bunny-shamans. The task of gardeners is to protect the carrot fields, and the shamans - to support the portals of entry and exit with the help of carrots. Explore the environment to find more secrets.